Cement and Terracotta tiled roofs are quite popular throughout Brisbane. Often, however, they become brittle as they age. When this happens, tiled roofs can begin to leak. This is not unusual, especially in homes that are quite old. In these cases, it is not always a straightforward or cost effective fix. Quite frequently, the only solution is to replace the tiled roof altogether. Here at Strongguard, we are experts when it comes to tiled roof replacements. We have over twenty years of experience in the industry. This means that we know exactly what it takes to deliver the ideal tile roof replacement. When you get a tile roof replacement from Strongguard, you get the best in products and service. We replace damaged tile roofs with leading edge metal ones. 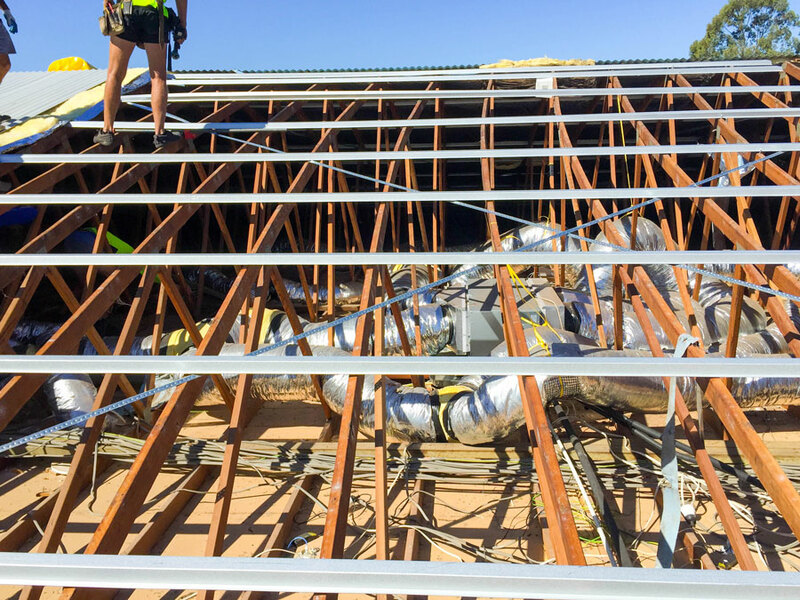 Every metal roof that we use is sourced from Australian owned companies. As a result you get quality materials that are built to withstand Brisbane’s conditions. With a wealth of knowledge and experience, the team at Strongguard is well equipped to assess and replace your tile roof. We have been working with tiled roofs across Brisbane for many years. This means that we know when a tiled roof is beyond repair. We see this quite often in older homes – especially post-war houses. When your tiled roof is beyond repair, the best option is to replace it. When we replace your tiled roof, we will check all the supporting structures and repair them. This is also a great opportunity for us to install new insulation for you. The insulation we install will improve the comfort and energy efficiency of your home. The durability and appealing design of your roof depends on great installation and materials. Fortunately, our team comprises some of the industry’s most experienced roofers. This means that you are guaranteed quality workmanship. In fact, we even offer ten-year workmanship warranties on each installation. Here at Strongguard, we demand the best tile roof replacements for our clients. Every tile roof replacement we do is designed to improve your roof’s capacity to withstand harsh weather, storms and sunlight. Essentially, we aim to improve your roof with high quality metal solutions. To do this, we follow a carefully developed tile roof replacement process. Before we can do anything on your roof, we have to make sure it’s safe. To do this, we set up the appropriate safety rails and scaffolding. Once all this is in place, we can begin to remove your tiles. To make sure that your home remains secure and weatherproof during the process, we remove the tiles in sections. This allows us to react quickly and secure your roof if it starts to rain. As we remove each section of tile, we will assess the condition of your roof and determine what needs to be done to improve it. When we do a tile roof replacement, we have to redo your battens entirely. This involves supplying and fitting new metal battens. 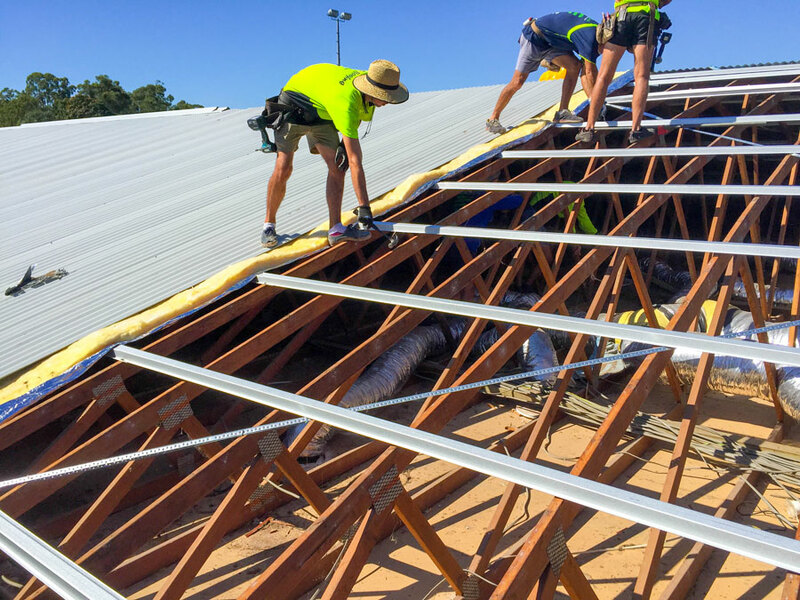 We do this to ensure that the structures of your roof are equipped to handle the new metal roof that we install. Once this has been done, we check the underlying structure once more and tie down the rafters to the top plate. Then, we install new insulation blanket for you. Finally, your home is ready for the installation of your new roof. We offer a complete upgrade here at Strongguard. This means that your new roof will be installed with new fixings, valleys and fastenings. Our team is very experienced when it comes to fitting new roofs, so you are sure to get unrivalled quality. Once your new roof has been installed successfully, we will do a thorough clean up. Here at Strongguard we value our clients, which is why we clean up thoroughly after every job. 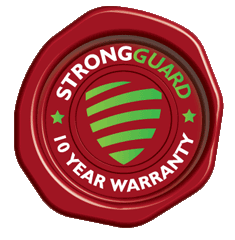 If you have deteriorating terracotta roof tiles, or a tile roof that is beyond repair, then contact Strongguard. We know what it takes to provide the best tile roof replacements Brisbane has to offer. Simply call our team, or contact us through our website, and we will happily discuss your needs with you. We offer a complete service, with experienced tradesmen and leading edge materials. #1 Do I need new battens? Tiled roof battens are generally inadequate when it comes to installing a new roof. To ensure that your tile roof replacement is high quality, we will install new metal battens as required. 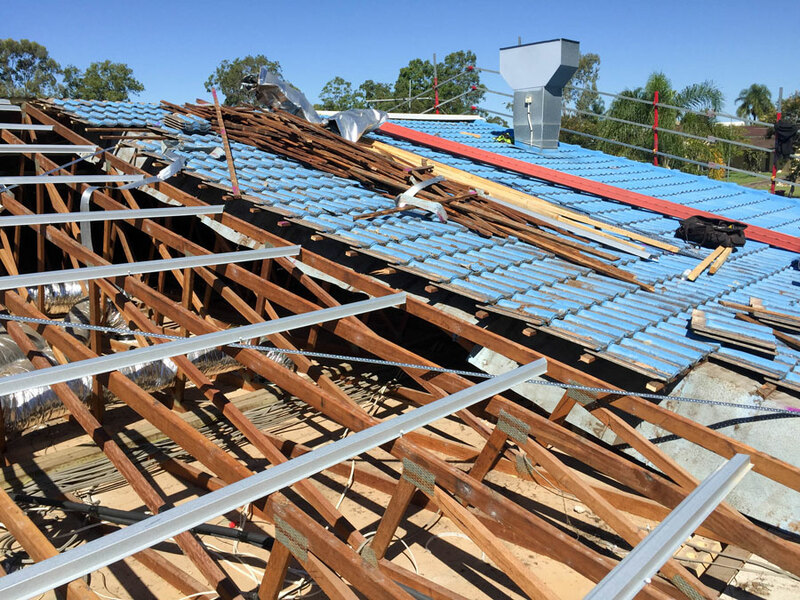 This means that your roof will be in great condition before the COLORBOND® steel metal even goes on. #2 What happens to my old tiles? If you have terracotta roof tiles or cement tiles that have not been painted, then we can often recycle them. Roof tiles can be easily recycled, as we can simply use them later in tile roof restorations. If they are painted or badly weathered, however, we will dispose of them in a responsible and environmentally conscious manner. #3 How long will a tile roof replacement take? In most cases, a tile roof replacement will take between two and three days. Of course, this does depend on the size and condition of the roof. #4 How much will a tile roof replacement cost? Generally, a tile roof replacement will cost between $15000 and $20000. This price includes high quality COLORBOND® steel roofing materials and efficient, industry leading service.